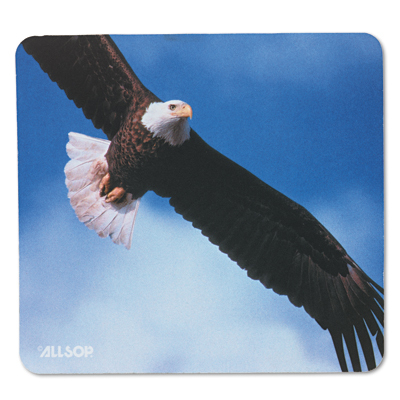 Unique decorative bald eagle design. Specially woven fabric for better mouse control. Personalize your home office computer station with this decorative mouse pad. It provides the ideal surface for mousing and cursor control. Nonslip base allows you to browse with comfort and confidence.